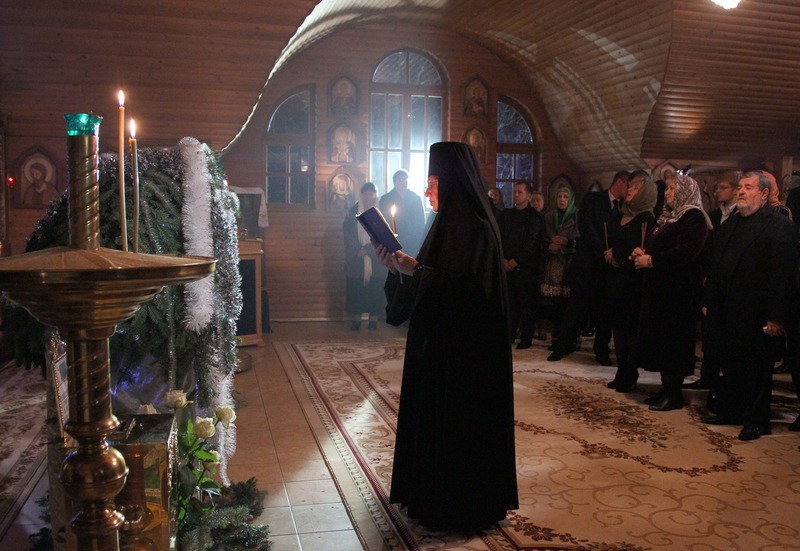 Nuns at the Christmas service in the Holy Trinity St. George's Monastery in Lesnoe village, Adler district of Sochi. Resort offers guided tours to churches, medieval ruins and religious sites. Russia's first Orthodox resort, Lesnoye, has opened in Sochi (1,000 miles south of Moscow), the city administration told RBTH. It is part of an effort to develop Orthodox tourism in the Krasnodar territory, where there are 11 pilgrimage, spiritual and educational tours, and seven religious excursion routes. Lesnoye offers guided tours to the St. George Greek Orthodox church, the ruins of the medieval Christian temples Lesnoye 1, Lesnoye 2, Kryon-Nero (built in late 10th century) and the Psakho river canyon. The resort has two recreation centers and a walking trail. In addition, the Krasnodar territory offers religious travelers sightseeing tours to the cities of Novorossiysk, Gelendzhik, Krasnodar and other regions. All these destinations have been developed with the support of the Yekaterinodar and Kuban Diocese's Pilgrimage Center.